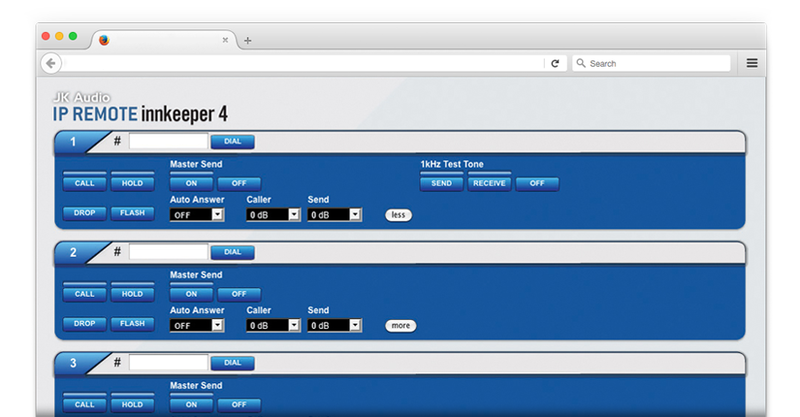 Remote Control of innkeeper Digital Hybrids via the Web. 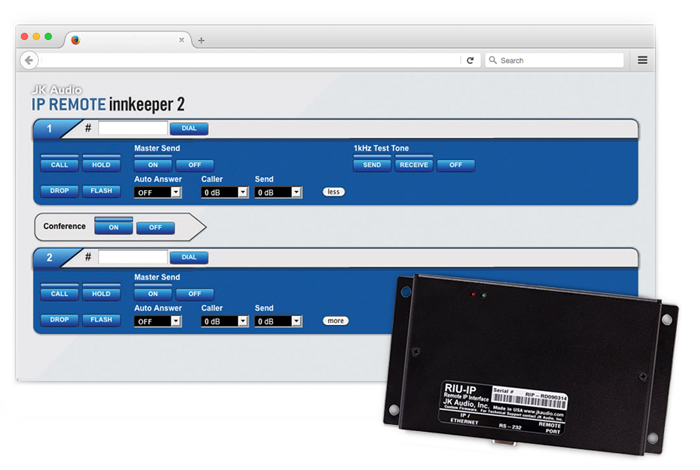 The RIU-IP is a remote control interface designed for the innkeeper 1rx, innkeeper 2, and innkeeper 4 digital hybrids. This unit contains a web server which allows the user to send and receive control data through their web browser. RIU-IP can be connected to the user’s computer NIC card for direct control, to a switch or hub for network control, or to an ethernet port with internet access for control from anywhere in the world.